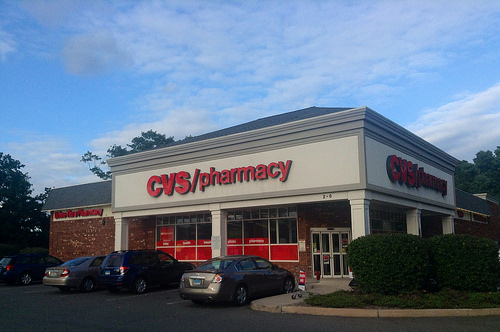 Health Costs > How Much Does the CVS Minute Clinic Cost? How Much Does the CVS Minute Clinic Cost? The Minute Clinic is a walk-in clinic that can be found within many CVS pharmacies across the United States. While not every CVS has one, the ones that do can provide exams, physicals, vaccinations and even offer to monitor your health. The cost of visiting this clinic will depend on the reason for your visit and your insurance provider. On average, the CVS Minute Clinic ranges anywhere from $60 to as much as $100 for a walk-in session without insurance. This is a session that will not include lab work or a prescription if you were to need one. However, according to our research, the cost for most services will be in the $89 to $129 range. For example, a sports physical will cost about $69, while a simple TB test will cost $35. If you have any sort of health insurance, these clinics will be more than happy to accept it. If you have a health insurance policy plan that is accepted by the clinic, you will be responsible for your co-pays and deductibles. To get a list of tests that the Minute Clinic can perform, check out their official website at MinuteClinic.com. You will be able to view the prices and things that they can do in your local area. NOTE: These averages were taken from the official CVS website and may change at any given time. Please use this guide as an estimate only. These are prices for those without insurance. The CVS Minute Clinic offers a plethora of services and options, including treating minor illnesses, minor injuries, screenings, skin condition checks, vaccinations, wellness exams, physicals and women’s services. A Minute Clinic, as noted above, is basically a small doctor’s office within a CVS pharmacy. Often monitored by either a nurse practitioner or doctor, you will show up on the spot, sign in using a touch screen computer and wait in the smaller waiting room. The average weight will depend on the number of people waiting there, but most of the time, it’s less than 15 minutes. Once inside, it will be like any other doctor’s appointment where the health professional will take your vitals and diagnose your symptoms. If you need a prescription, it will be sent to the pharmacy immediately. A blog on whitesites.com explains the process he went through. If lab work, such as a blood test, has to be done, the results are going to be considered an additional cost. According to the website, it will be an additional $25 to $40, depending on the test required. If a prescription has to be written, getting it filled will be considered an additional expense. Since prescription drugs can widely vary, the costs can be anywhere from $10 to as much as $200 or more without any type of insurance. The Minute Clinic is a great way to get treated for minor illnesses without having to wait for an appointment with your doctor. Keep in mind that they will only treat minor issues that can be easily fixed with medication. The Minute Clinic will often have hours posted. Be sure to check the hours before heading in to make sure that they are opened. While these clinics are located inside of CVS, this does not mean that every CVS is going to have one. To find out which one has a clinic, you can check out here. If the illness or injury is rather extreme, skip walk-in clinics such as this one and go straight to your local hospital’s emergency room. Since they will only work with minor injuries and illnesses, they will more than likely send you there anyway. Always check with your insurance provider ahead of time to know which type of clinics are covered under your policy. Even if you’re uninsured, they will still accept cash paying patients. If the nurse recommends that you fill a prescription, you can ask for the generic of the medication to save money, especially if you do not have medical insurance.